8" concert banjo ukulele. Maple bound, flame maple resonator. Laminated basswood rim. Maple neck with ebony fingerboard, maple binding and white dot inlays. 18 frets. 12 brackets. Remo Weatherking head. Ovangkol bridge. 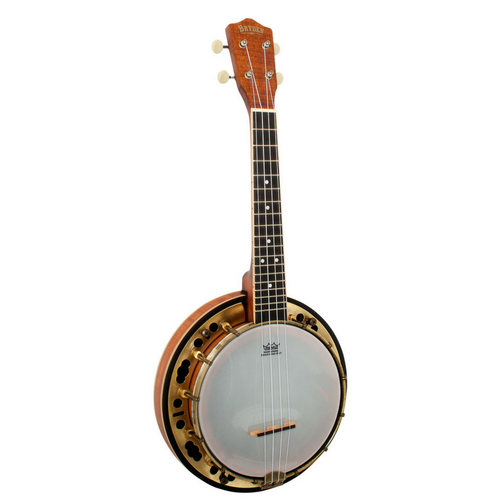 Brushed antique brass brackets, hoop, tone ring and tailpiece. Antique brass open geared machine heads with oval off-white plastic buttons.